Gold-plated brass and copper corset made by Mark Prouse. Designed by Jessica Tiegel, photographed by Patrick Styrnol, modelled by Barbara Tous of Elite Barcelona, gold work by FMB Technik GMBH. Fire and Iron is known across the world as the place to see and buy the very best metal artworks by leading international artists working with iron, steel, stainless steel, gold, silver, platinum, palladium, titanium, copper, bronze, brass, tin, aluminium, pewter and zinc. In the beautiful outbuildings of a listed house, delicate jewellery is exhibited alongside opulent beds and life-size steel animals. The emphasis is on quality and ethics. Fire and Iron has been featured many times on television and radio, and in the national press. Lucy Quinnell owns and manages Fire and Iron, and she has iron in her blood. 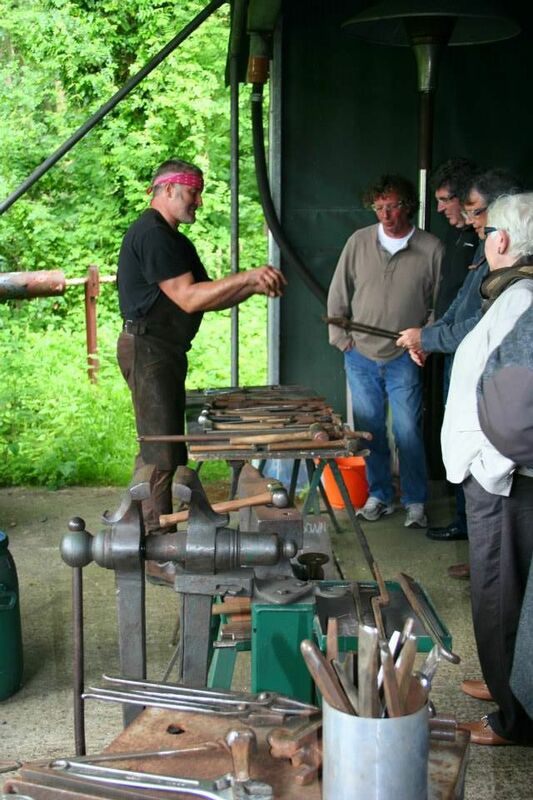 Lucy's family has been involved in English ironworking since the 1500s. Her grandparents and parents were all involved in blacksmithing, and her grandfather founded the forge on the Fire and Iron site in the 1930s. In 1989 Lucy's father Richard Quinnell was awarded the MBE for his part in the revival of what had been, for many years, a dying craft. During his career, Richard and his team produced some of the most significant twentieth century ironwork in the UK and overseas, including the gates to Shakespeare's Globe in London, the coat of arms for the British Embassy in Rome, the Ivegate Arch in Bradford and the gates to the National Ornamental Metal Museum in Memphis, Tennessee, USA. 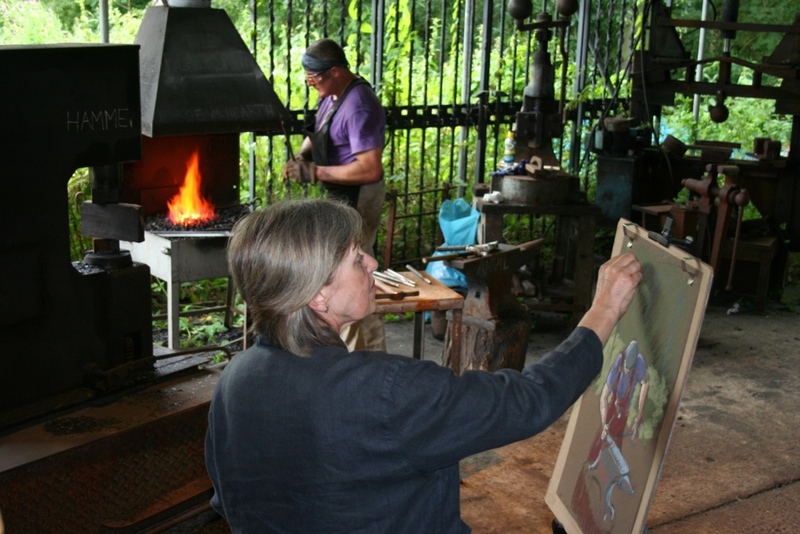 Richard and his late wife Jinny founded the British Artist Blacksmiths Association in 1978. Lucy studied at Epsom School of Art & Design and Exeter University before returning to the family business after the early death of her mother, where she pursued a dream of creating a space where artist blacksmiths could show their work to the general public and to professionals in associated fields. Twenty seven years on, Lucy has developed Fire and Iron Gallery into a lively exhibition space where leading artists and makers display and sell their work, and where tens of thousands of visitors come each year to see, enjoy, purchase and commission* great metalwork. Special exhibitions complement the permanent displays, and demonstrations take place in a purpose-built arena. 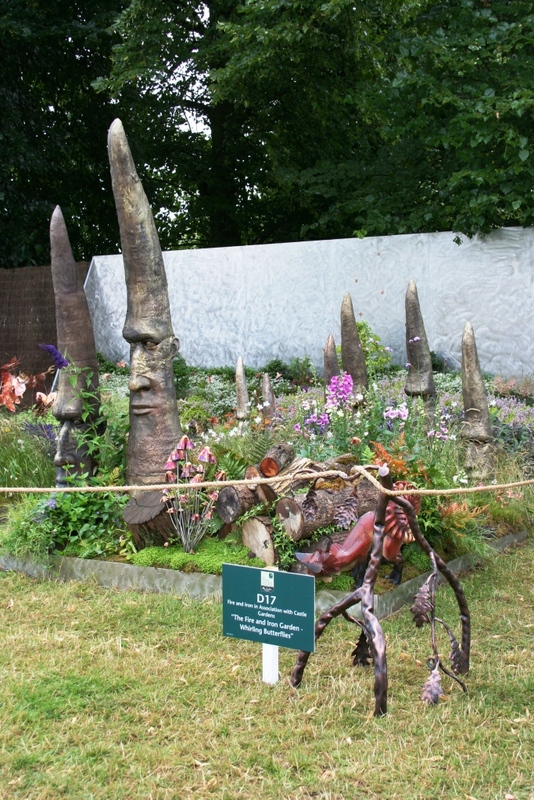 An outdoor sculpture lawn is an additional feature in dry summer months, and Fire and Iron was the overall winner in the Business category of Surrey Wildlife Trust's Wildlife Garden Awards 2016. *We love commissions, and please see our 'Public Art & Commissions' page for typical examples of our work. We have created thousands of unique pieces for our clients, BUT PLEASE DO REMEMBER THAT WE ARE A VERY SMALL TEAM AND THAT EVERYTHING IS INDIVIDUALLY DESIGNED, MADE AND FINISHED. WE HAVE A LONG WAITING LIST FOR MOST TYPES OF COMMISSION, SO PLEASE DO CONSIDER THIS - WE ARE NOT FOR THOSE NEEDING SPECIAL COMMISSIONS IN A HURRY! Lucy is married to blacksmith Adam Boydell, who trained at Herefordshire College of Technology and then with Brian Russell in County Durham. 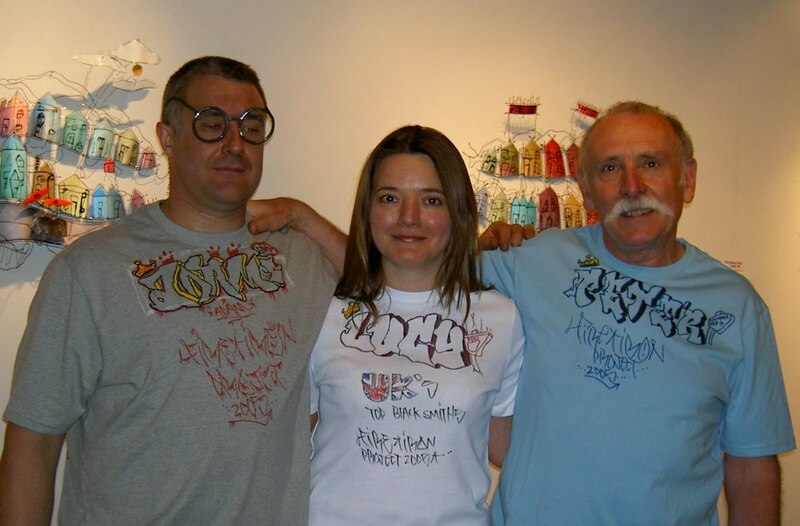 Together, Lucy and Adam have produced many commissioned artworks for public and private spaces. Their work to date includes the Amesbury Archer (Amesbury, Wiltshire), ITV's Avenue of the Stars (Covent Garden, London), the Allen Court Arch (Dorking, Surrey), the 'Gingko' panel for the International Pillar of Friendship at the 'Enginuity' museum (Ironbridge, Shropshire), trophies for the Sir Michael Caine Drama Awards and the new wall sculpture on the façade of the Leatherhead Institute. Lucy and Adam have a passion for 'education through doing' and work frequently with young people and community groups to produce finished artworks. In 2008, Lucy won a gold medal for Fire and Iron's first RHS garden at the Hampton Court Palace Flower Show, and she has gone on to design and produce ironwork for five more gardens - solo or in collaboration with other garden designers. In 2015, Lucy won Leatherhead & District Business Awards: 'Women in Business'. 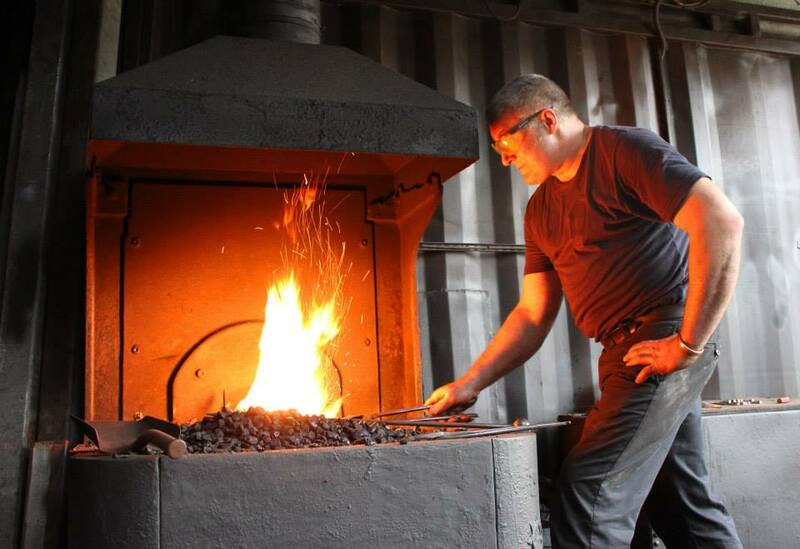 Fire and Iron is open to the public throughout the year, Tuesday to Saturday 10am-5pm. Closed January and August unless by appointment, Sundays, Mondays and most Bank Holidays.